We decided this weekend that aging is a wonderful thing as long as you have someone to do it with. (We all want each other to go first though.) 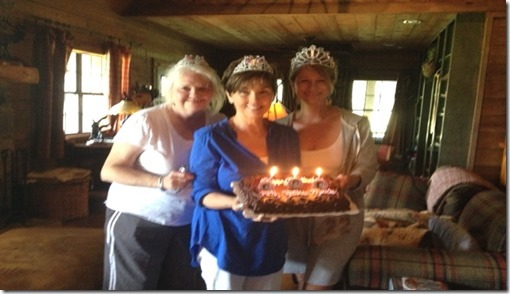 Nevertheless, my oldest friends celebrated the march of time this weekend with a birthday bash deep in the woods of Monroe County. 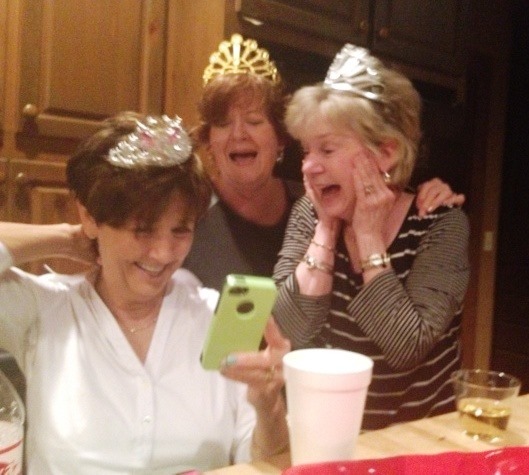 (Above Beth, Norma and Judy discover a trick to take years off your face with selfies. The tip will be in my book “Love, Laughter and Losing my Keys: A Boomers Survival Guide.” Excuse the self promotion. 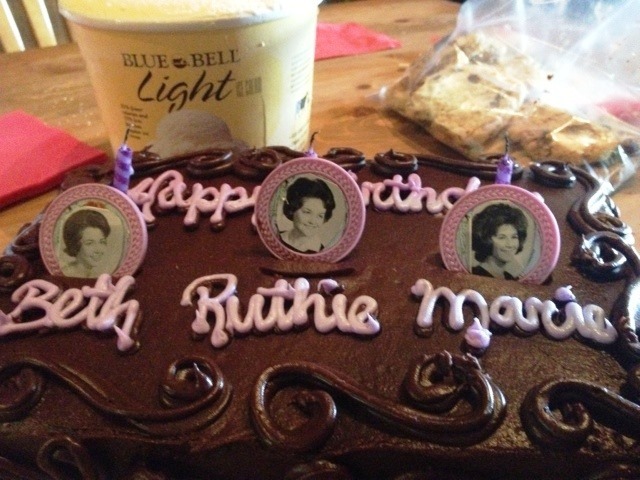 Typical of this group is the preparation of gooey sugary confections accompanied by light ice cream and Diet Coke. The chocolate chip cookies at right are just for looks. stodgy and boring. Sometimes older IS better and this weekend it certainly felt that way. Thanks to Larry Clark for the use of his hunting camp. But I swear, I didn’t get a wink of sleep with Bambi hanging over my head. 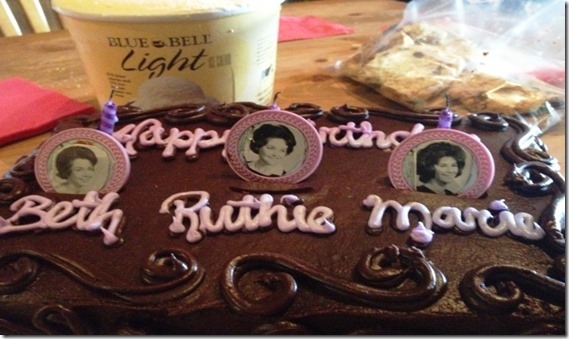 Love these pictures and especially the ones on the cake. Depending on what’s going on here in October, I might try to join you at Hazel’s. I’ll be catching up with all of you then… age wise that is. 😉 Well not Judy. 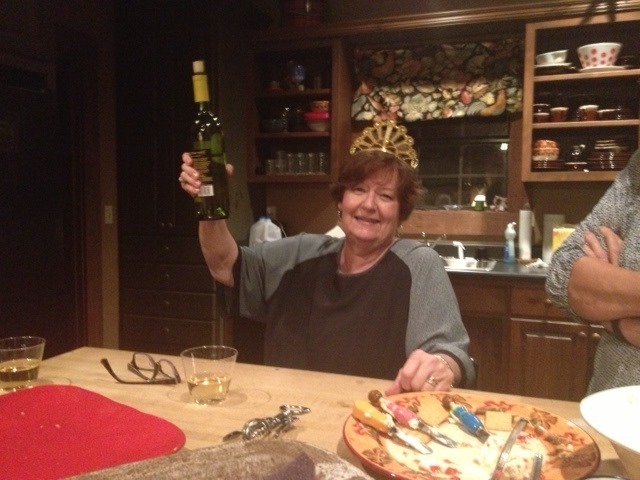 Is she on Medicare yet? LOL. Oh Carole – please please do. We cannot let our last little Marganita/ringtail tootie come in alone! Been missing u! Norma, you look a little toasty there. Looks like I missed a good time. 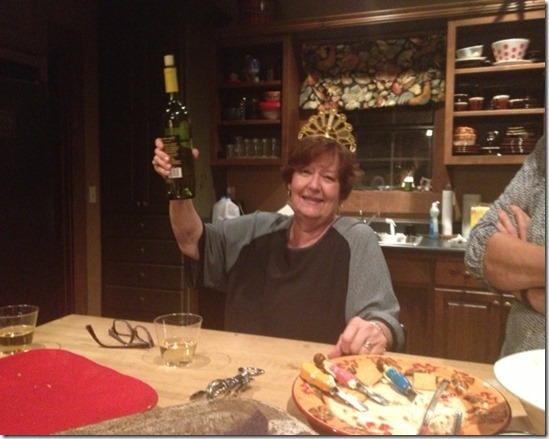 Sorry …I missed all the celebrating…looks like you all had a grand time…..I hope to see you all Prairie Arts week end…and I can help with the looking younger! Great birthday party and loved our unique BD cake! Laugh out loud when looking at our school pics….we evolved from “big hair” to “tiaras”…..much more becoming for Ringtail Tooties! Hated that I missed the fun get together! 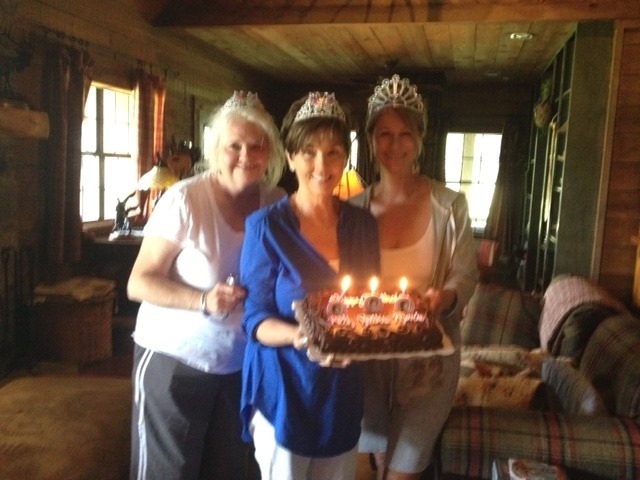 I can’t wait to hear all the details and all the news…..Happy Birthday to the August birthday girls, Marie, Ruthie and Beth….. So much fun – as always! Thanks to all of you for everything and most of all – thanks for the special friendship !!! Can’t wait for your book to come out !!! What a fun weekend! Just takes a little longer each time to bounce back! !